What better way to show your State pride then to show off your colours for your favorite college team. Rickie Fowler does it every final round with his Oklahoma State orange Puma apparel and many PGA Tour pros like to done their state colours now and then. Even being from Canada I do love certain States more and cheer for certain college teams more often then not. The golf I've played in the State and the time spent there are also very important. Imperial was good enough to send over the "The Sweet Carolina" hat for me to put through it's paces. The ultimate in North Carolina state pride. We filled up state boundaries from west to east with the NC state flag. Embroidered on our cotton X210B style this classic Carolina light blue was the only choice. The flag colors of gold, white, navy, and light blue seem to blend in nicely with this unstructured relaxed piece. Imperial Headwear has been doing this a long time (1916) and again they hit this one out of the park. 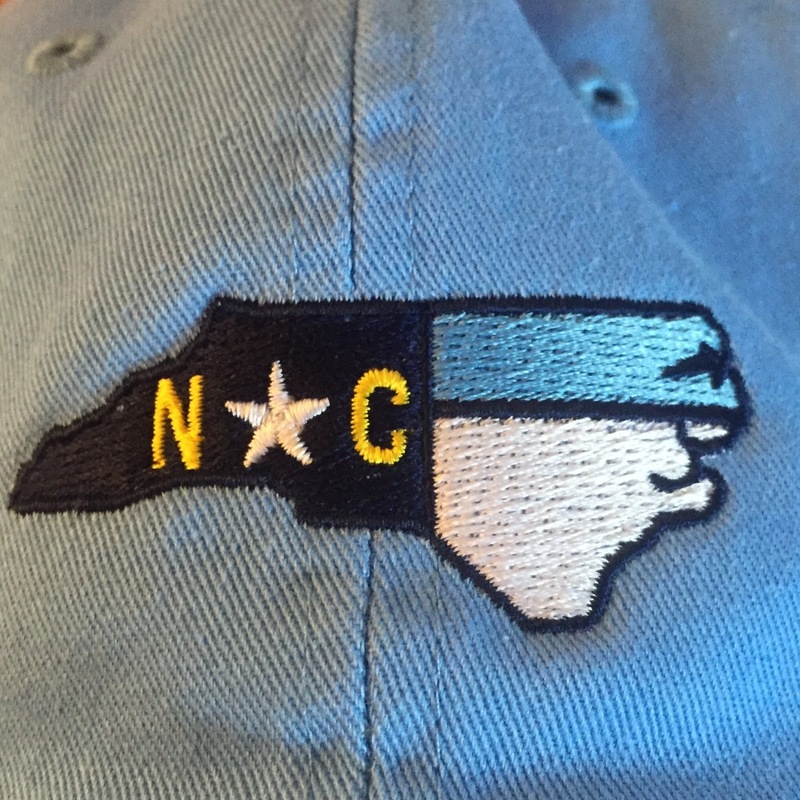 The North Carolina emblem on the " Sweet Carolina" hat is professionally embroidered and stands out beautifully. 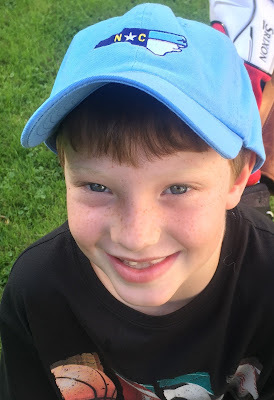 The hat is a 100% cotton twill that was very comfortable to wear. Normally I'm more of a structured hat guy but this unstructured model will be very popular for those that like this style. 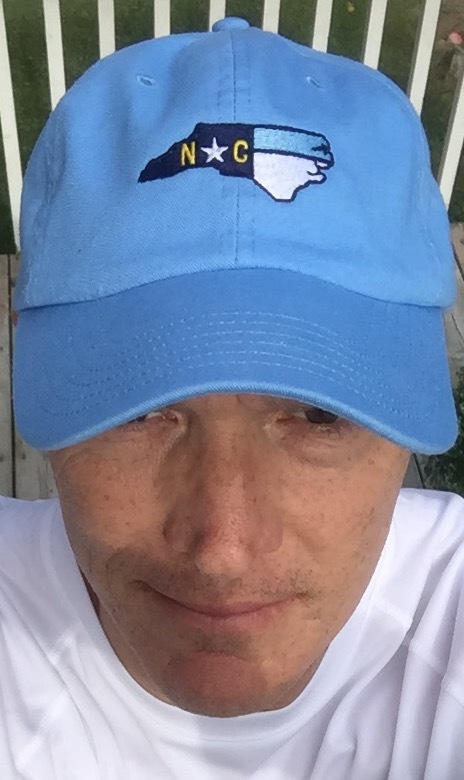 It held up nicely over the testing period and the Carolina blue didn't fade at all. Can be worn on or off the golf course. I could definitely see Michael Jordan wearing "The Sweet Carolina" to show off his Tarheel pride. The states included in the Tailgate collection are: Alabama, California, Florida, Georgia, Kentucky, Louisiana, Mississippi, Missouri, North Carolina, Ohio, Oklahoma, South Carolina, Tennessee, Texas and Virginia. Each hat features the state outline with a defining characteristic of each state. The Tailgate Collection styles include preppy cotton hats, as well as Imperial's signature Tour Visors and Oxford Bucket hats. Hats range in price from $30-$35 and can be purchased directly online, or at golf shops that have brought in their State colours. A little more expensive then most unstructured hats out there but Imperial's lasting quality and style are second to none. "Our Tailgate Collection is a state pride themed line of headwear," says David Shaffer, director of marketing at Imperial Headwear. "Anybody who wants to show their loyalty on game day, at a party, or any other day of the week will enjoy this new collection of preppy caps. It's a perfect way to show your team spirit this season."